These filters are simply great. 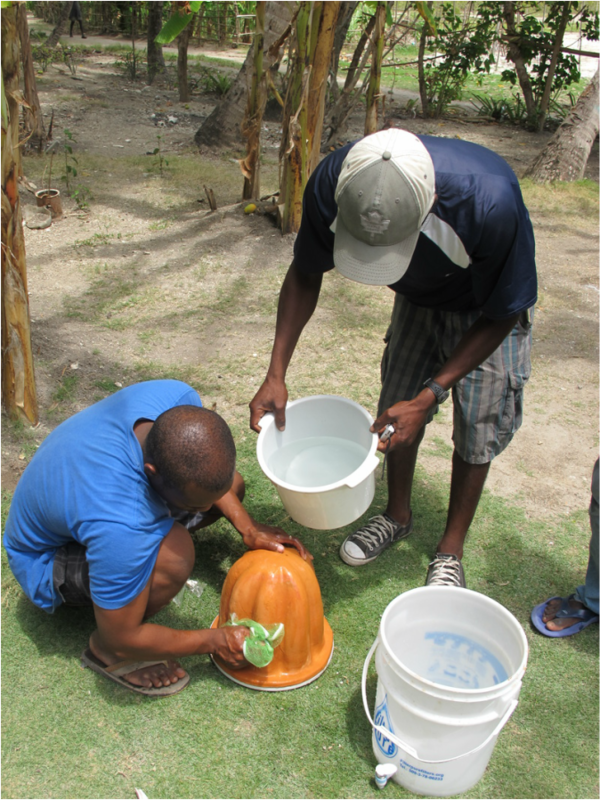 You can dump in dirty water and clean drinkable water will slowly drip out of them. 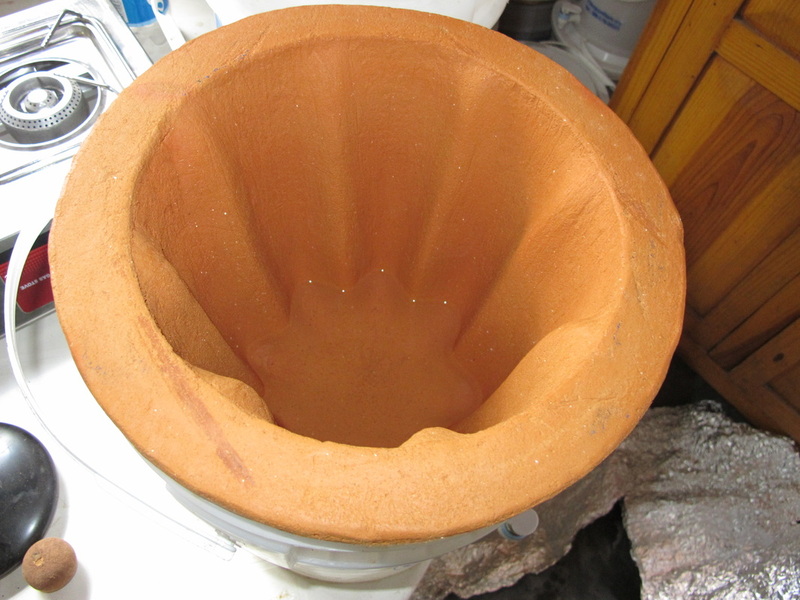 They are made out of clay, sawdust and silver collides that cleans the water to turn it into potable drinking water. A company now makes them in Haiti. Preparing a filter for use for the first time. 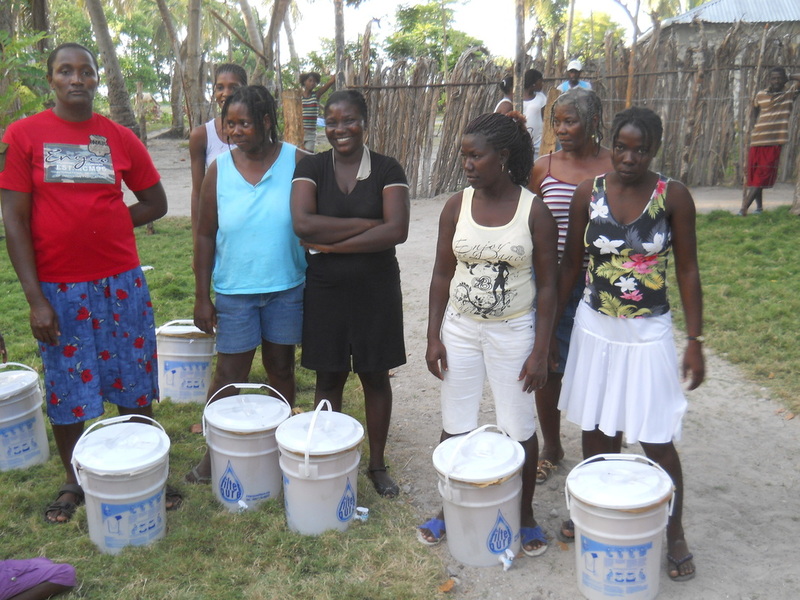 We instruct the mothers on how to use these water filters that take out all impurities. The women are generally the leaders of the household so we find it best to train them on this precious resource.